Homeowners at Watermark, a luxury holiday resort in the Cotswolds, recently commissioned TimberTech to replace rotting timber decking and handrails with our low-maintenance wood composite products. We’ve now become a Watermark-specified supplier, with our VertiGrain 2 Grey decking and white RadianceRails systems featuring on dozens of Watermark Holiday Homes. If you’ve also got a holiday home with timber decking that’s looking a bit tired, replacing it with TimberTech decking makes a lot of sense. Our products come with a 25-year warranty, so you’ll be investing in something that will stay looking good for a long time. 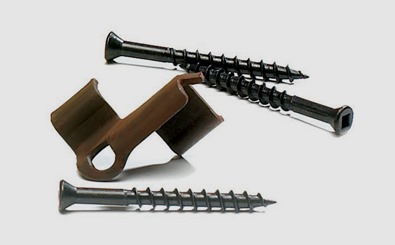 And as our products are made using the latest composite technology, they won’t need any of the maintenance that your existing exterior timber needs – no sanding, no varnishing, nor replacing rotten bits. All TimberTech needs is a quick jet wash occasionally to keep it looking good. If, like a lot of the people with homes at Watermark in the Cotswolds, you’ve got friends, family or renters using your home, you can rest assured that TimberTech is the safest possible option. Unlike traditional decking, it never splinters, and there are minimal gaps between the boards for little fingers to get trapped in. 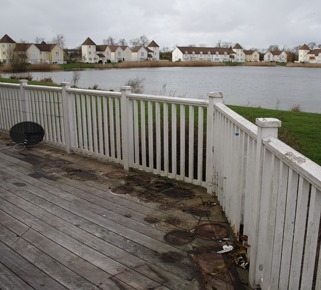 Of course, it’s not just wood decking that can rot – railings and handrails can give in to the elements even before the decking needs replacing, as the Watermark owners found out. 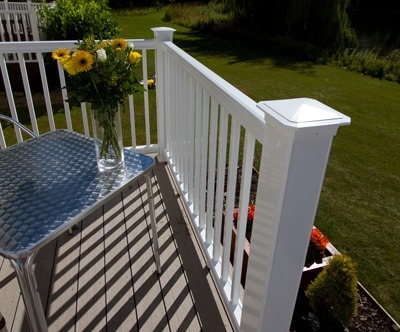 TimberTech’s contemporary composite railing systems are low maintenance and weather resistant, just like our decking. 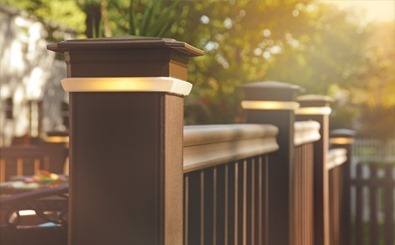 An essential for anyone who rents out their holiday home, they even have the option of an integrated gate for added safety and a streamlined look. 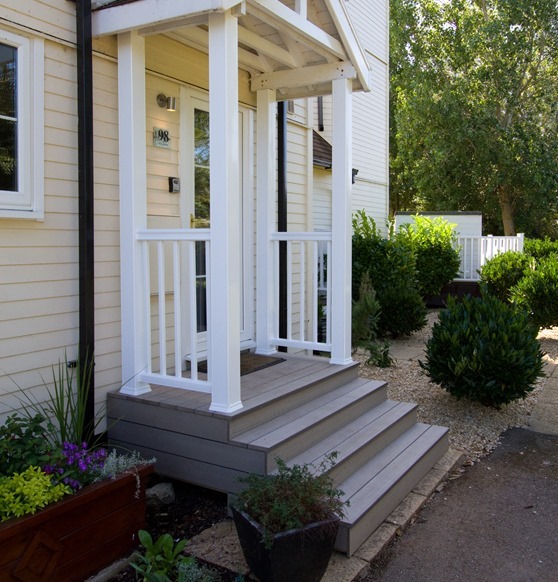 TimberTech’s range goes a lot further than just decks and railing systems – other recent projects have included porches, steps, and balconies, so we can help with all your outdoor woodwork needs. So if, like the residents of Watermark, you think TimberTech could be the solution for you, our account manager can visit your location to chat about what you need. We also have an in-house installation team who can fit all of our products. 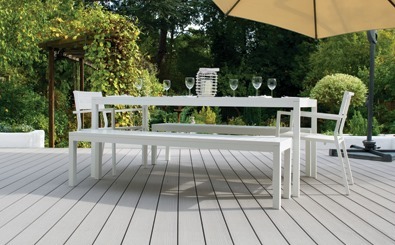 Click here to request a free sample of TimberTech’s composite wood decking, or call 029 2080 3756 to discuss your requirements with our sales team.